Leek is one of those ingredients that have found it's place as a pantry staple in my kitchen. I starting buying a few stalks of leeks a couple of months ago to use in place of onions in some recipes. I like the subtle flavor and now I tend to use it at least once a week in recipes. In our house, garlic rice pilaf is a common side dish. 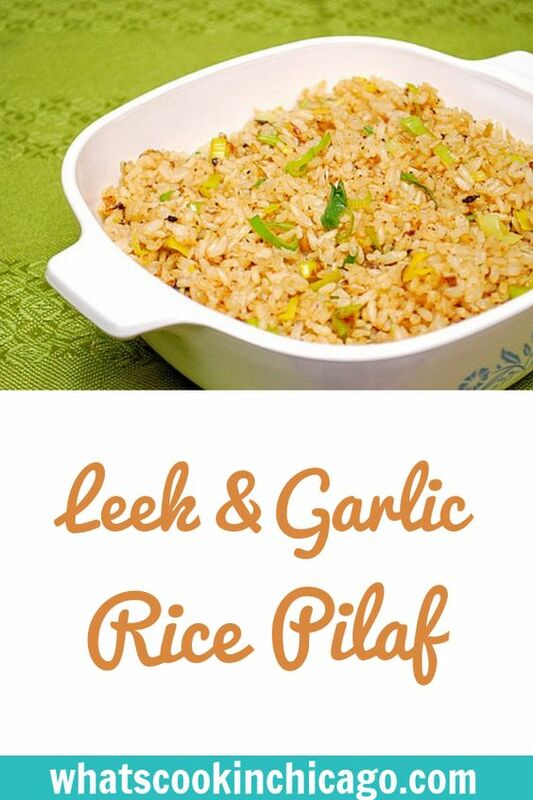 I decided to take the last leek stalk I had on hand and throw it into a garlic rice pilaf I made and it worked out pretty well. The leek imparted a subtle onion flavor while adding some nice color in the dish. So if you're not too familiar working with leeks, this is a great recipe to start! Melt the butter and olive oil in a hot skillet over medium low heat. Add theleeks and garlic and season with the salt and pepper; cook until the leeks are soft, about 5 minutes. Add the rice and stir until coated with the butter and olive oil. Increase the heat to medium-high. 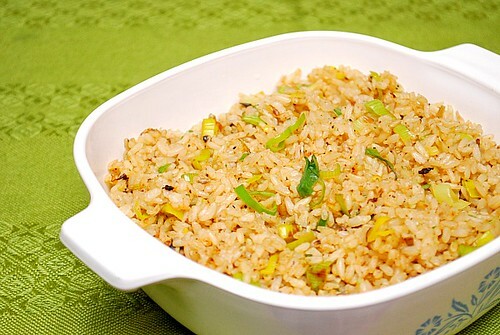 Let the rice cook until toasted, stirring occasionally, about 5 minutes more. Stir in the broth and bring to a simmer over low heat, cover, and cook until all the broth has been absorbed by the rice and the rice is tender, Fluff the rice with a fork and serve. Leeks are one of those vegetables I love but rarely eat. Thanks for the recipe!